In this interview with CuZn, the TongFu manager reflects on recent changes, and talks about the future for the club. SGamer: Thank you CuZn for this interview with SGamer.com. Now that TongFu’s new roster has been confirmed, are you finally able to breathe a sigh of relief? TongFu.CuZn: Yes indeed, I can finally breathe easily now, and it feels great to relax. SG: Following TI3, did you expect to see such huge changes come to your team? CuZn: I did think of it, because there are always changes following big tournaments! SG: Were there some ‘transactions’ being discussed already during your time in Seattle, then? CuZn: During the time I was only focused on the matches, didn’t pay much attention to things outside of that. But I do know that there have been some foreign players expressing desire to come to China to compete, but I feel that communication and cultural differences is a huge issue there. SG: Recently, TongFu players have become hot commodities. What preparations did the club have in case of a worst-case scenario? CuZn: A complete restructuring along with a creation of a feeder/secondary team. SG: What if this team that you’d personally helped build completely fell apart, did you consider giving up your career as an esports club manager as a whole? CuZn: Yes, there were definitely thoughts regarding that. But as long as there is a player willing to stay, then I will continue my work. SG: Was Hao’s departure a surprise to you? CuZn: No, this was within my expectations. Hao’s performances this year have been excellent, and the scene has a relative lack of carry players, so having teams coming to ask about him is to be expected. Plus, it’s possible for any change to happen after an International. SG: Hao, in a weibo post of his, stated that he would be playing with an added TongFu label on the end of his ID even though he’s joined iG now. Were the tears flowing for you after learning of this gesture? SG: What are you going to do with those bowls of porridge that have Hao and Banana on them? SG: In this big reshuffle, what kind of role has the ACE Alliance played? CuZn: A supervisory role. Just as Efeng says, without the Alliance, there would have been quite a few teams that get poached to the point of dissolution. SG: How do you rate Zhou and Hao as players? CuZn: Born in the same year, Zhou’s personality is more stable and steady, suitable for being captain. Hao is more aggressive and impulsive, suited for making big plays. In terms of results, Zhou has more than Hao I think, but Zhou’s form this year has been fairly low. Hao on the other hand, via his own hard work as well as his team’s growth, has been able to improve and even largely escape his old label of ‘feeder Hao’. The two players both have room to improve, so we’ll have to see what happens in this next year! SG: A team’s captain seems to be very important, who was your team’s captain before? Has Zhou been confirmed as the new captain now? CuZn: The captain before was actually banana. After banana left, we held a team meeting, and confirmed Zhou as the new captain, and the main drafter for us. SG: ZSMJ’s transition to the 4 role has been fairly recent, do you feel that he will be able to fulfill the needs of this role? CuZn: Yes he can, he is a very focused, very hard-working player, and we have a lot of confidence in him successfully playing the 4 role in our team. SG: Whose idea was it to pick up ZSMJ? CuZn: We made a list of all players who currently are able to play the 4 position, and then this was the result of a collective discussion. SG: How do you rate this new roster? CuZn: We’ll still have to see how they gel together. Their current level of play I think can only be given 70 out of 100, but there was some training today, and the results weren’t bad! SG: Apart from winning TI4, what other goals are there for the next year? For example forming a youth squad to go play the NSL in Korea? CuZn: Of course there are other goals, such as winning the ACE League, or defending our DSL title. This next year we might have three different squads. As for which team gets sent to play in the NSL in Korea, this needs to be kept a secret for now. After the big reshuffle this year, we’ve realized the increasing importance of having sub/feeder-teams, so we will definitely be creating a youth squad. SG: How will you guys go about selecting players for the other two squads, then? CuZn: We’ll have our coaching staff filter the choices. We’ve already got some new players in our sights. SG: Apart from sydm, who else is part of the coaching team? CuZn: Kabu, Gx, and one of Zhou’s friends. Of course there’s me too! SG: Do you feel that coaches are a necessity to Dota 2 teams nowadays? CuZn: I feel that it’s something you cannot lack, because coachs can arrange schedules, scrims, they can monitor the players and help them grow, thus allowing the players to focus on practice and competing. SG: What do you think is the greatest challenge currently facing your club’s Dota 2 team? CuZn: Lack of talent. Whether in terms of management or players, there is an acute lack. Because Dota 2 in China still lacks accessibility, the playerbase is still relatively small, so it’s very hard to find people. Many sponsors aren’t that interested in Dota 2, and so from a club’s point of view it is difficult to find additional investment. SG: Do you think that things will improve once Dota 2 truly opens up to the masses? CuZn: More or less, yes it will improve. Lots of loyal Dota fans will be able to play this excellent esports product, and as the playerbase grows, lower level tournaments increase in number, and thus more new competitors and sponsors will appear. I do believe that the future will be better! SG: As a club, do you guys prefer league-format or cup-format tournaments, and why? CuZn: It’s definitely the league format. Stable and reliable scheduling as well as publicity, this is good for both the players and the fans, and the regularity of the league format allows the club to plan things more easily. SG: Okay, go ahead and say something to cap off this interview then! CuZn: TongFu 3.0 awaits your support! Ever since Chinese teams’ losses at TI3, and even before that, fans and insiders alike have blamed the Association for Chinese Esports for vaious failures and draconic restrictions in Chinese Dota. Finally, earlier today, ACE’s top person, King, made a personal statement and response. Recently, due to Chinese teams’ losses at TI3, the ACE Alliance has as a result been put on a spotlight. I hadn’t responded or explained anything until now, the reason being that these losses haven’t been easy to accept for anyone. Chinese teams failed to achieve good results, the Dota-ACE Alliance (the ACE Alliance has a D-ACE and an L-ACE, for Dota and LoL respectively) must also bear responsibility. With the spotlight now on myself and ACE, this could actually be a good thing for players and Dota 2 clubs, because in this process, we can make gradual steps towards more stability, and continue our work in the future. Here, I want to talk some of my own thoughts as well as share some realities. Everyone has been questioning my devotion to esports. I can tell you all right now, since I helped form the Lion team in 1999, and then with YolinY, then to WE, it’s been 14 years. Perhaps the current me does not have that same kind of fervent love for esports as many other people, yet esports has already seeped into my blood itself, and so my relation with esports is a more personal, intimate one. So, compared to many esports fanatics, I might see things more objectively and logically. Even though when I’m chatting with friends, I might joke that if I’d gone to work in online games (like MMOs) or some other industry, I’d be better off right now. But I am clear on this fact: without esports I am nothing, or it could be said that I had always, from the start, planned on making this my life’s work, because I like to relate with fellow games, I enjoy collaborating with fellow gaming people. Because we’re all the same, straightforward, without ulterior motives, so please, I ask everyone to not doubt my passion for esports. It is merely a difference in opinion in many things, and thus people have a different starting point in discussions, so let me explain things point by point below. First of all, I want to talk about the format and structure of D-ACE (Dota ACE Alliance). 1. D-ACE exists without any governmental backing. Its leadership consists of representatives selected via vote by all member clubs, and all major decisions are also determined by way of votes. For example, my role as leader of ACE comes by way of being selected by voting. I was selected unanimously, and I appreciate the trust everyone has placed in me. Even though, before taking the position, I knew there would be many difficulties, I was determined to not let everyone down. After coming into the position, my first challenge was addressing the poaching of players between clubs — if this issue was addressed inappropriately, I ran the risk of insulting the clubs. The second question here was, when it is players themselves organizing and forming their own ideal rosters, and ACE comes in and places barriers, then the players can become annoyed with us. Thirdly, events and tournaments at the time were relatively random and non-standardized, with many events not paying for travel and accommodations, delaying prize payments, etc — in handling this issue, I needed to be wary of offending event organizers. Fourth, for the fans’ point of view, the alliance equals an organization that holds power, and the word ‘power’ often in the current climate is equated with negative meanings, because a common sentiment has formed in which any organization with power is bullying others, and thus, any mistake from ACE causes widespread dissent. Overall, at the time I had these and many more concerns. Everyone knew that the position was one with lots of challenges and little reward, and people around me all advised me to not take the role, they all said to me that I shouldn’t risk my years of esports reputation on such a position. After all, such a role has influences over the interests of many, many, people, and they could all come out and critique you at any time. I understood these things at the time. Then why did I still take the role up, knowing all this? In 2003-2004, I went with the team overseas for competition, and we achieved pretty good results. Foreign media wanted to interview me, and they asked me, “You guys actually have computers and internet in China? How much effort did it take to get that set up for you guys?” Back then, it would seem that foreign ideas of China were still stuck in the past, so my thought was that, by competing in esports events, we could not only achieve results and win titles, but also prove to the world that China is growing and developing, and that at least in terms of computers and internet, we aren’t lacking. I found that esports was very popular amongst young people overseas, and at the same time those who misunderstood China the most were also young people, so I wanted to show them through our hard work that China can compete, and is excellent in esports. So, my dream at the time was to help the team take a world championship title, and prove to the world that we Chinese can do it. In the heyday of Warcraft 3, we achieved quite a few world titles, and many foreign competitors visited China in order to participate in events here. We had many large events broadcasted to the world, and we showed to the West that esports is strong in China, and it is popular. I was very proud then, because to be able to find so much glory, and help those around me gain recognition across the globe, this meant that I had also achieved my own dream. I should be satisfied. After we had gotten so many world championship titles, I made a plan. From Beijing, to Shenzhen, to Guangzhou, to Chengdu, and many more places, I went and visited businesses and companies, hoping that they would sponsor us, recognize us. Even though I had lots of numbers and statistics to back myself up, that esports as an industry outstripped many other realms that they traditionally sponsored, that it provided greater returns, I was still rejected. Their response was that esports was not highly recognized throughout mainstream society, and that they were not willing to take this risk. I was young and headstrong at the time, and this was a big hit to me. From these two examples, I began to realize, even though we’d taken some world titles, our industry was still not mature, and thus we had been losing out on many things of value. At the club level in Chinese esports, there lacked a standardized set of regulations for the market, and so all outsiders could see was that it was a mess, and thus frighten away potential investors, regardless of how much potential the market may have. So, what could be done to standardize things? How to achieve mainstream acceptance for esports? This became my new goal. Thus, even though I knew that taking my role at ACE would mean lots of sacrifice for little personal gain, that I would potentially make many enemies, and that there was the possibility of even ruining my reputation within, I still went straight in to do it. It’s been nearly two years now, and I swear that every single action I’ve taken while with the alliance, I can answer for to my own conscience, and I can answer for to esports as a whole. Next, allow me to address some issues one by one. I have always felt that, in this industry, people who can talk far outnumber people who can actually do things. In fact, esports truly lacks people who can really do things. So in 2007, I closed down my personal blog, and it’s been some six years since then where I haven’t written anything — my writing might be awkward in places, I hope everyone can be understanding. Around April and May of this year, ACE held a very important meeting. This meeting had not only club managers present, every club also sent a player representative to participate. At the meeting, I explained the current situation with Dota 2 to all of the managers and players. In this we talked about the lack of events, future events and their timing, and I went around and collected all of their opinions. At the time, some players said that China currently lacks tournaments — top tier teams can achieve top three at these events, they still have TI3 where top 8 is in the money, so top tier teams, relative to lower teams, still have prize money to earn. The lower tier teams, thus, have a lot less room to work with, since there’s a lack of events and those few events that exist will largely be dominated by the top tier teams, meaning that basically for many lower tier teams, all they had was their salaries. They were very concerned over the possibility of players at smaller clubs simply retiring and leaving the scene, especially because the Chinese Dota 2 scene currently lacks new talent. The threat of a growing gap in Chinese Dota was present, even the threat of a few clubs disbanding, things which would negatively impact the overall scene. At the time, we confirmed four different large events: 2 DSLs, and 2 ACE Leagues, so based on this, we determined that we should try to allow the smaller clubs to participate in more of the smaller events. This was how we came upon the club tier system, as well as the prize pool regulations, but we did not announce this publicly at the time. A month later, we held a second meeting with managers and player representatives. The players felt that, prior to TI3, it would be best if they had more events in which to practice and prepare. We considered the reality at the time, and recognized that there indeed should not have been restrictions on events for teams, so we canceled that rule. This is why we saw these teams at Alienware, ECL, and NEST. I feel that the previous rule was a mistake by the alliance, one which D-ACE should take main responsibility for. We failed to consider what the teams and players needed most, and then we failed to communicate the change with the public afterwards, and thus caused a lot of commotion. Locked in events for this year are: DSL (500k RMB for champions), ACE League (1m RMB for champions), and TI3 (1m USD for champions). Due to time restrictions, there will only be one iteration of the ACE League this year. Next year, there will be two each of DSL and ACE League, and what this means is that there will be a total of at least four events with half-million RMB prizes throughout the year, with another International in between. As these events are improved upon and polished, we will also continuously re-evaluate the tier system involved. 1. Due to the fact that the aforementioned events (ACE and DSL) are all top-heavy prizepools, with top 3 getting most of the money, we must consider the smaller clubs. Thus, we think we should leave a reasonable amount of smaller events to them, in order to make sure the industry as a whole grows. 2. To our sponsors, having a tier system is more fair. For example, a sponsor puts out 1 million RMB to hold an event, and they see that in the daytime the teams and players are playing in their big money event, yet later in the evening they’re playing in small prize online matches, then the result can only be one of two things. The first is that this sponsor decides to lower future investments, they will feel that the players’ aren’t worth as much. If they can invest 100k and get the same players, then why pay more? The second possibility is that the sponsor feels deceived, and completely pulls out of future inviestments. Of course, there’s a third option in which the sponsor continues on as if nothing has happened, and in this case then it is due to either the event is very profitable for them, or that they are directly involved with the game, as the game’s developers or such. So, when determining tiers for teams and events, we must consider the long term, we must consider the industry’s growth as a whole. Should be focus on quality or quantity? Where is the balance? These have been things that we’ve been considering lately. As for what events top teams should partake in, we will continue to hold monthly meetings with club managers and player representatives, and come to conclusions collectively. The lessons from TI3 are deep and extremely important. Many people concluded that, in order to win big titles, there must be enough events and matches normally. Of course, I have no way of countering this point of view, because after all, results are what speak loudest, and we lost. Indeed, we lacked events, this is the truth. But here, I want to say, from March to June of this year, D-ACE did not reject or refuse any Dota 2 event. Instead, D-ACE has worked to facilitate scheduling and timings for various large events. Dota 2 Chinese servers are not fully open to the public yet, and many sponsors are still observing the situation. At the end of last year, I think I may have been the only one who had a plan in hand and was out and about searching for sponsors for large Dota 2 tournaments. Even still, I was met with plenty of closed doors. Luckily, I still managed to get a large sponsor in the form of a real estate company, and I thought that this would bring me some appreciation, yet in the end I’ve been accused of taking money from Tencent in exchange for putting Dota 2 down, I feel pretty sad about that. When the ACE Alliance was formed, contracts between players and clubs were not guaranteed. It was very possible for a club to bring up a new talent, grow them, and then have the player poached away once the player showed some results. If this becomes the norm, then no club would risk training newcomers anymore, a club’s investors would lack any kind of protection, and players would lack any kind of security. After the alliance was formed, much was done regarding malicious poaching of players by way of contract regulations, and nowadays there is hardly any poaching going on. 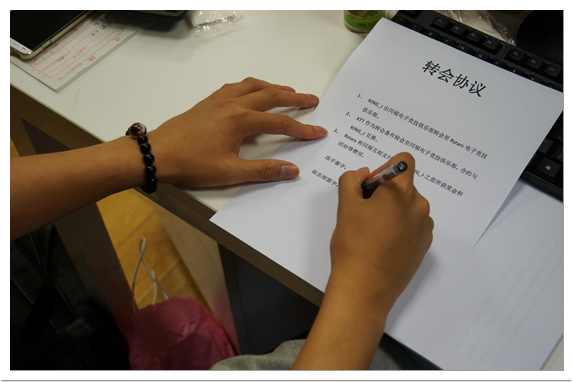 This year, before TI3, the alliance specifically went to each club and had them each pay a deposit – 50k RMB per team. As deposits, the money is only temporarily with ACE, and if the clubs need the money back, then it is still theirs. This was in order to prevent, post-TI3, clubs disbanding and not paying players, or to address the potential of clubs kicking players without following their contracts. In doing so, the purpose was to at least guarantee the short term interests of the players. Regarding the recent drama over players leaving teams, and players being replaced, I feel that the base reason is that competition prizes still far outweigh the salaries of players, and thus the players’ desire to build stronger teams to compete internationally is very normal. At the same time, this can cause rifts to form between players and between players and their clubs. This shows that there still lacks a systematic approach to things, an approach in which events and clubs work closely together. It also reflects that the clubs themselves haven’t unlocked the full potential of the market, they haven’t fully released their business potential. Players cannot possibly compete on their own, they must rely on their teammates as well as support staff behind the scenes of the club. Esports consists of many parts, and we must take into account the even growth of all its parts, and not only focus on any single part, because doing so will only bring failure. In an interview in the past, I said, even if esports gets on mainstream television, this may not be a good thing for esports presently. Because things are still too disorganized, we aren’t ready yet. At least from my point of view, things are still all over the place at the club level. If the product itself is lacking, then no matter how much promotion you do for it is useless, maybe even negative. I think that clubs currently are still too non-standardized, and in the eyes of those who work in traditional industries professionally, they would laugh. So in order to have clubs become more standardized, to fully develop their market potential, these are things that we esports people must work towards. Ever since WE formed a Dota team, we’ve been developing fresh talent for the scene. No matter what else is said, WE has not done anything to harm Dota. Even if you think WE has not contributed to Dota, there still hasn’t been anything WE has done to harm it. As for why WE does not have a Dota portion any more, there are two reasons. First, after taking on the ACE role, I have lacked the time and energy to manage another Dota team, and so the management was lacking, the team’s results thus suffered, and so on. Second, Dota 1 is transitioning to Dota 2, and at the time, Dota 2 still lacked an official Chinese partner, there was no sponsor that was willing to sponsor our Dota 2 team. Without a sponsor, for a club such as WE that does not have any rich people propping it up, we couldn’t do it, so we regretfully let the Dota 2 team go. One of the main points that I’m being flamed on right now is actually the fact that WE has no Dota 2 team, yet has an LoL team that has achieved some results in the past. This is the point that I most want to address, yet I’m least happy to talk about, because I’ve always felt that those who play games are all part of one big family, and had never previously considered the relations between games. At the beginning of this year, I was reminded that I should be cautious regarding my role and place, that I should be wary of doing something that would bring negativity to myself. I was too naive at the time regarding this, I thought that as long as I concentrated on doing my best, people would understand, and within the alliance itself, I thought that if I had no Dota 2 team of my own, I’d be more able to objectively handle things. Yet, before TI3, there was an incident in which doubt was casted upon ACE due to my own background with LoL, and I realized that things weren’t so simple anymore. In order to clear the doubts, I decided that I would no longer be directly involved with Dota 2 event decisions, that I must find someone whose club managed a Dota 2 team. Thus, I shifted my focus towards standardizing club and player regulations. Once I got an ACE office in Shanghai at the beginning of the year, basically whenever I haven’t been away on business, if I was in Shanghai then I’d be in the office dealing with alliance things. Regardless if a club had matters of great or small import, I’d handle them as soon as possible, I never once dodged an issue or put things off. In actuality, I do feel a bit ashamed in the amount of time and effort I’ve been able to put into my own club. To this day, I do not know where the new WE and PE team house is, because it’s been around eight months since I last visited, and back then they hadn’t moved yet. So here I want to apologize to these kids who are playing for their dreams, you’re all excellent, and I haven’t been much help to you guys. Yet it is what I have agreed to do that has brought upon you all a lot of trouble and pressure. I also want to thank Sky and Zax at WE for their support, for understanding my dreams, and for helping share the load of a lot of the club’s duties. I’ve said so much, and everyone can see, ACE’s development hasn’t been all that smooth. We are all a bunch of esports lovers and fans, and without any governmental support, without any investment money to work with, without even sponsors’ support at times. We’ve met a lot of strong opposition and challenges, and I know, the alliance’s many regulations have been less than perfect, and cannot even be compared with the level that traditional sports has achieved, cannot even be compared with KeSPA. For the clubs’ survival, though, ACE must go on. Here I also want to tell everyone D-ACE’s plans for the upcoming future. First, we will standardize club management as well as player regulations, then establish a D-ACE website upon which we will publicize these things. We will establish a system from which amateur players will be discovered, and given chances to grow, and thus promote Dota 2 in amateur player realms. In this first iteration of this, over 200 teams participated, and we selected two of the best teams and invited them to Shanghai, where they had the chance to play and train with professionals, and we worked on helping them find sponsorship. We will collaborate with colleges and universities in holding LAN events on campuses, and have professional players interact at these events with collegiate players in order to promote esports on campuses. We will establish offline training and bootcamp facilities, and provide every member club these types of facilities, where each Chinese team can gather to train before large events. Our ACE League will also invite the top 3 foreign teams at this year’s TI3, and if accepted, these teams will come to China and train and compete against Chinese teams for a period of three months. During the competition, we will hold promotional events for players to interact with the public, and thus promote esports to society. Perhaps as I’m writing this, clubs around China are still undergoing a big shakeup of which even I do not know. Perhaps many fellow professionals are still laughing at the alliance. Perhaps I shouldn’t have said all the things I have. Esports as an industry is still one that needs everyone’s help and support collectively. In the past few years, it is perhaps the club development aspect that has held the rest of it back, but those of us that work on the club level really do hope that we can quickly standardize and professionalize things. Of course in this we need the understanding and support of all kinds of esports personalities and people — it isn’t time to laugh and marvel at the mess. The once-a-year million dollar International, perhaps our losses there still weigh heavy, but we need to start on a clean slate. Whether we go and build a dream team or we focus on steady growth of the industry as a whole, and thus win based on a stable foundation, and thus prove ourselves through our wins to all of society… this is a question that is worthy of consideration for every esports person. Entering 2013, the Dota2 scene within China has been busy with developments, as ZSMJ and LanM have both spearheaded the creation of new teams, bringing old veterans such as Chisbug, xiaoluo, and Kabu along. 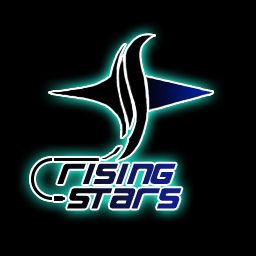 Now, another new team appears on the Chinese scene as RisingStars-Gaming esports club has announced their formation of a Dota2 team. RisingStars-Gaming completed construction recently, and their management includes former LoH/NA manager, current RisingStars CEO Cc, team lead Tan Ran. Their tag will be Rstars.Dota2, and the roster is AIR, SUPER (not DK.Super), XDD, PrettyHaw, and Injuly. These five players hail from former ACE Alliance clubs DT^Club and Noah’s Ark, which had disbanded earlier last year. Worth mentioning is, renowned female esports competitor, well-known commentator, Miss, has also joined the club as media coordinator. Apart from that, RisingStars have also formed a Warcraft 3 squad, with the famed Th000 currently, and additionally in the future they will also form an LoL squad. 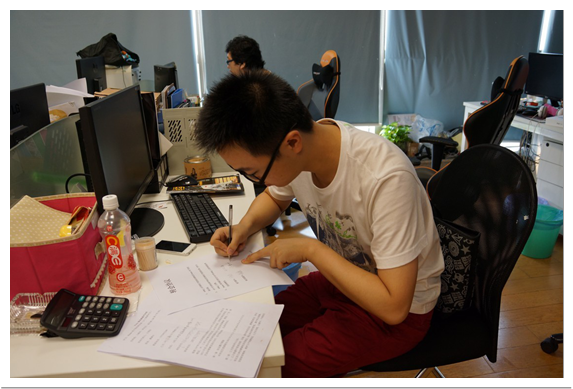 We wish Rstars.Dota2 success in achieving good results in 2013, and contribute to the development of the Dota2 pro scene in China! Dotaland note: Written by Felix菜刀刃, friend of Dotaland, and translated at his personal request — this is a look back on the last year of Dota in China, where so many things have changed, grown, and in some cases, disappeared… Looks back on teams, controversies, achievements, and a hint at Perfect World having their own ‘International’? This and more, read on below! Nirvana, sponsored by Loveen, winners of prestigious titles such as G-League in 2010, WDC, WCG China, once upon a time stood amongst the three giants of Chinese Dota, alongside EHOME and LGD. WDC, the World Dota Championships, catalyzed in part by Loveen, was a top three competition in Dota. Going into 2011, Nirvana and the WDC both entered a turning point, where Loveen, citing a new marriage faded out of the scene. In the beginning of 2012, Nirvana officially announced their end, with WDC being their swansong. PanDa, sponsored by a Hang Yu (this was PanDa’s second iteration), with Efeng as manager, established in 2012. Players under their tag included Hao, Mu, Yaobai, PanPan, 830God, and Sansheng. Their results were not bad, but then the boss disappeared, Efeng quit, three core players transferred to TongFu, and that was that — the team disbanded. 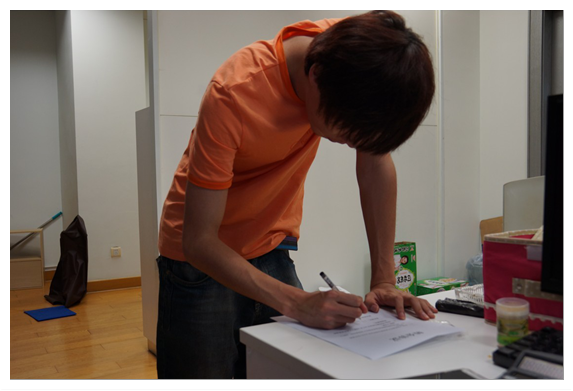 WE’s Dota team was established in 2011. At one point or another, they had new at the time, but now-familiar names such as Sylar and Veronica. After TI2 ended, their Dota players left one after another. CLC’s Dota team, after a short existence including players like 357, ultimately disbanded after 357 returned to EHOME. Afterwards, the remnants of CLC merged with LOH to form Noah’s Ark. Following investors pulling out from NA in 2012, the team ceased to exist. DT Club, once 3rd/4th placed finishers at ACE League, suffered an unexplained resignation from their manager, a loss of financial backing from their boss, their players floated off to other teams. “A thousand sails drift past the sunken ship, a thousand trees flourish upon the dying stump” — in 2012, though quite a few teams left us, new teams appeared to fill their spots and bring with them a new wind of hope. The most inspired of these is none other than LGD.int, where we must give credit to LGD.RuRu’s eagle-eyed wisdom for her skill in building another super-team in the hyper competitive Dota scene. And LGD.int’s performances so far have shown us all that Western players do not necessarily lack talent, they only need an environment to focus and train better. Post-TI2, the biggest dark horse newcomer should be ViCi Gaming. Mostly comprised of new players, they first took the GosuCup by storm, only losing to Zenith and ending up third place. And then it was in the G-League group B, where they escaped death by eliminating MUFC, pushed LGD.cn to the limit, ending the year in a satisfactory manner. Apart from that, there’s still the new as-yet-unnamed team led by ZSMJ and Ch, as well as a potential new team with LaNm. And then, there are rumors saying that former DT Club players have re-convened to fight anew in this new year. After a seemingly neverending wait, Perfect World finally was confirmed as Dota2’s official Chinese partner. Despite many fans and industry people alike eagerly and impatiently awaiting this news, Perfect World played this to their own leisurely pace, perhaps with confidence in a long-term approach. While they prepared a new Dota2 official splash page and beta signups, Perfect World has also been ramping up recruitment in preparation. There are reports suggesting that Perfect World also has plans to hold independent large-scale events a-la Valve’s International, and perhaps this act could serve to disrupt the current balance between third-party events. Either way, no matter what comes from Perfect World, it will greatly influence the Dota2 scene as we know it. For WCG, its name recognition is matched only by its controversy. As one of the key forces in early Chinese esports development, WCG holds an almost mythical reputation amongst Chinese fans. Yet, recent developments in gaming have almost left WCG behind, with WCG attempting a shift towards mobile games. And plus, as a modern-day esports giant, the new generation of Chinese gamers have the ability to look beyond what the Koreans can provide. Increasingly refined experiences and production from domestic competitions, plus huge moves from American gaming companies have left the Samsung-led WCG by the wayside. This year’s World Cyber Games was held in Kunshan, China, and its production fully catered to the host nation’s tastes. Dota2 became a main competition, with its predecessor Dota included as an exhibition event. In Warcraft3, Ted’s Undead had a classic come from behind victory, and the Sky-Moon rivalry played out another emotional chapter; the whole of it meaning that viewers got more than enough. But still, the worries were apparent underneath the surface at WCG, and its future remains unknown. G-1 League’s 4th Season quietly snuck up on us, and it brought with it China’s first Dota2 competition, a first for Chinese and English simultaneous broadcasting, the first Chinese competition with an in-game Steam ticket. Out of many firsts, what it served to do most was to set an example and kick off the future of Chinese — and even Asian — competitive Dota2. Even so, of course, there were many places for improvement; wonder what surprises the next iteration of G-1 League will have for fans? As China’s longest standing and most well-known esports media organization, Gamefy’s 2012 wasn’t a typical one. In fact, it could be said that their summary for the year is a long list of achievements. The first season of G-League in 2012 managed to put on an exuberant celebration of a Grand Finals, despite being trapped between a spectacular ACE League debut, and a certain million-dollar tournament in Seattle. And speaking of TI2, Gamefy also successfully acquired broadcasting rights to the competition. Yet, not long after these successes, Gamefy commentator SnowKiss resigned controversially, leaving in her place a long series of accusations leveled at Gamefy and former coworkers there. Although Gamefy successfully cooled the situation down, the storm clouds from this incident remain difficult to disperse. Afterwards, Gamefy’s Daily Report show negatively reviewed WCG, and Chinese WCG media partner NeoTV responded, causing another wave of arguments and controversy in the public eye. So it was in this atmosphere that the new season of G-League began at the end of 2012. Unprecedented production quality along with unpredictable and exciting matches seemed to sweep away the haze of past disputes, finally helping Gamefy to break out from a series of negative events. In 2013, a reformed SiTV (parent company of Gamefy) thus must continue their role as one of Chinese esports forces. The ACE League, as a collaboration between the ACE Esports League and GTV Channel, provided Dota competition in its debut event. In the roadmap of Chinese esports development, the ACE League holds a milestone-like status. In terms of production and packaging, it’s erected a new standard for other competitions. But an awkward reality cannot be ignored, that is that half of the original participating teams have by now disbanded, and a second season of the league never materialized in 2012. In what way will ACE re-appear in 2013, all is still unknown to us now. EHOME is (or was?) China’s oldest esports name. In many different events and games, especially Dota, they at one time or another represented the top China — or even the world — had to offer. In 2011, BurNing and KingJ left the team, and DK and iG arose, and EHOME’s kingly aura faded as it never had before. In 2012, EHOME made high-profile roster changes: DC as a coach, ZSMJ et al recruited to compete, yet no goals were achieved. Afterwards, old EHOME veterans 357, Dai, and LanM were recruited back into the fold, and because of rule-breaking in these transfers EHOME ultimately were excluded from the new ACE Esports Alliance — EHOME became the ‘Horde’ to ACE’s ‘Alliance’. After TI2, 357 and Dai joined DK, team lead 71 left, and EHOME once again fell apart. Rumors say that EHOME’s been bought by iG owner Principal Wang, but no one knows if we’ll see EHOME make another return. As we review the Dota scene of 2012, we come to find that unfortunately, ‘mess’ is still a word closely associated with everything, to the extent that the China Esports Magazine of 2011 below can be used again for 2012 with little changes. Paid smurfing to boost Dota 11 platform account ladder rankings, Dota2 keys and profiteering, the “100% focused” statements, Taobao’s antics… from one side to another, insults, maneuvering, and politics covered everything from fairness to profits and everything in between. The end result of all this being, for better or worse, we saw many more sides of players, commentators, organizers, tournaments, and clubs than we would have otherwise ever known about. Interestingly, all of this seemed to die down quite a bit after TI2. Perhaps it was because everyone saw first hand that there’s a quality in professionalism, and there’s a power behind a million dollars. Because of Valve’s million-dollar injection into The International 2, the competition was seen as a ‘crusade’ of sorts by players. The first International in Cologne was not particularly important to Chinese teams, with seemingly only EHOME taking even a week of time to prepare for it. But then, EHOME’s $250000 prize for second place had everyone waking up. CCM, who finished outside the top four last time had turned into this year’s iG. Equipped with the best training environment Beijing could provide, and having just taken a G-League championship, with a lead in the on-going ACE League, it could be said that they had all the forces of nature alongside them. In the end, they didn’t disappoint, and successfully planted the Chinese flag on the greatest stage of Dota2. This TI2 also served to completely rewrite the order of the worldwide Dota scene. China’s iG began their dynasty, Chinese competitions transitioned to Dota2, and the former big three Dota competitions faded away, all while Dota2’s gravity shifted ever so much towards the East. All indications point towards the fact that with TI2 and iG’s title, a new age has begun.